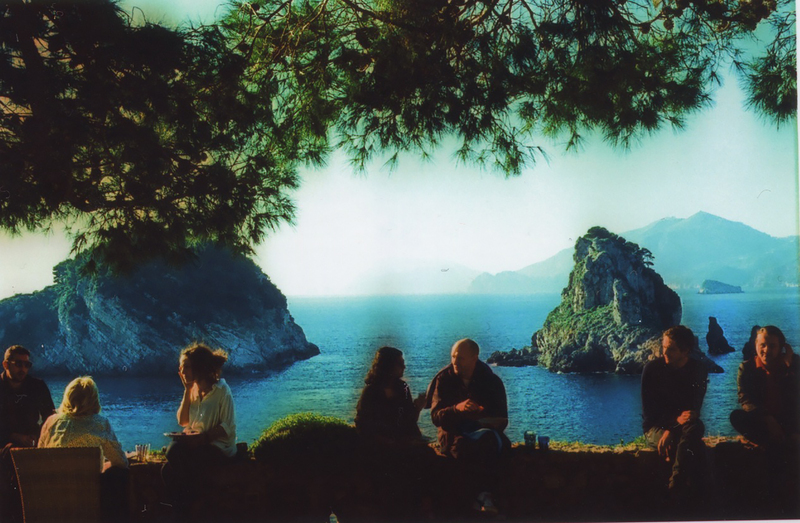 In May 2015 Fiorucci Art Trust begun a new residency programme on the legendary Mediterranean archipelago of Li Galli. 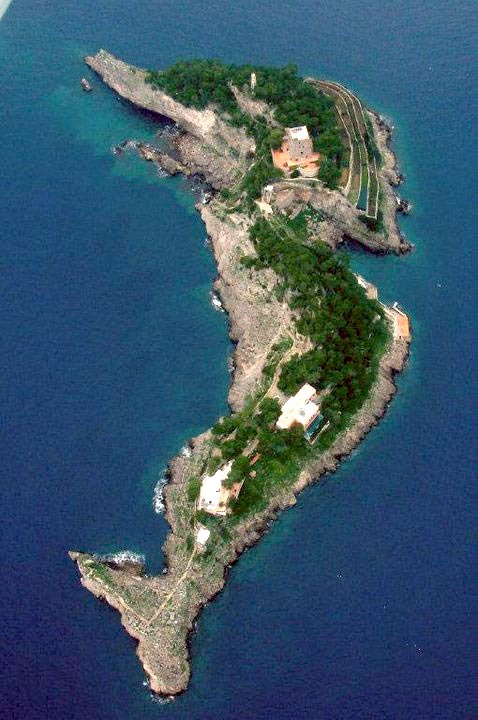 Also known as Sirenusas (Le Sirenuse), Li Galli is composed of small islands located just off the Amalfi Coast, near Positano and Capri. 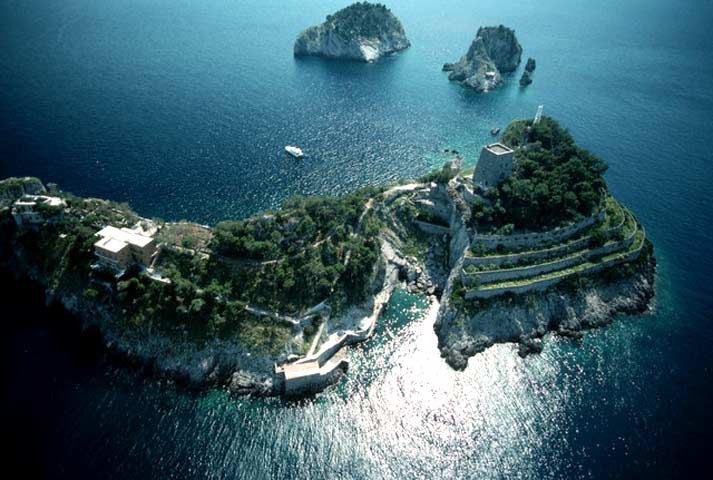 Artists will be staying on the largest of the three islands, called ‘Gallo Lungo’. The history of this location is incredibly layered. For a start, the name Sirenuse, is a reference to the mythological sirens said to have lived there. Indeed, Li Galli was described in Homer’s Odyssey as the place where Ulysses was captivated by sirens. In 1924, Russian dancer and choreographer Léonide Massine bought Li Galli and built ‘Villa Grande’ on Gallo Lungo, also known as Villa Massinem. Massine’s vision was ”to establish a foundation that will keep the island as a centre of art”. In his words, he hoped “to carry on the tradition of Sergei Diaghilev [founder of the Ballets Russes] to bring together young painters, composers, writers, dancers and choreographers, to exchange ideas and collaborate on new works’’. Massine created a dance studio inside the ancient Sara- cen tower existing on Gallo Lungo, a frequent type of structure in the Mediterranean seascape, which provided a vantage point to sight enemies. Later on, in 1985, the dancer Rudolf Nureyev bought Li Galli and spent a lot of time on the island, until his death in 1993. When Nureyev arrived, Li Galli had been uninhabited for over a decade and as he enthusiastically restored it, he started buying furniture and building supplies. He purchased a gilded bathtub in Paris that arrived on the island dangerously swinging from a helicopter. Nureyev made good use of Massine’s dance studio – unsurprisingly, given his remarkable Ballets Russes roots. He was planning to open a ballet school on the island, however, this did not eventually happen. Many artists such as Sergei Diaghilev, Vaslav Nijinsky, Pablo Picasso, Igor Stravinsky had a relationship with Li Galli, a place that greatly inspired them. This influence is manifest in an excerpt from George Balanchine’s ballet Apollon Musagète, known as the Apollo in Balanchine, created in 1927 with music by Igor Stravinsky. Greta Garbo, Princess Margaret, Roberto Rossellini, Ingrid Bergman, Anna Mag- nani, Sophia Loren, Jacqueline Kennedy Onassis, Franco Zeffirelli are counted among the many cultural icons who stayed on Li Galli. In 1994, Italian hotelier Giovanni Russo acquired Li Galli. His arrival immediately brought an injection of fresh, new energy to the island. Every year he invites creatives and friends to spend time there, including many artists such as Camille Henrot, Christian Holstad, Haroon Mirza, Michael Anastassiades, Goshka Macuga, Allora & Calzadilla, Mario Garcia Torres, Patrizio Di Massimo, Osman Yousefzada, Martino Gamper, Peter Doig, Mario Garcia Torres, Rebecca Horn, William Kentridge and Michael Clark. 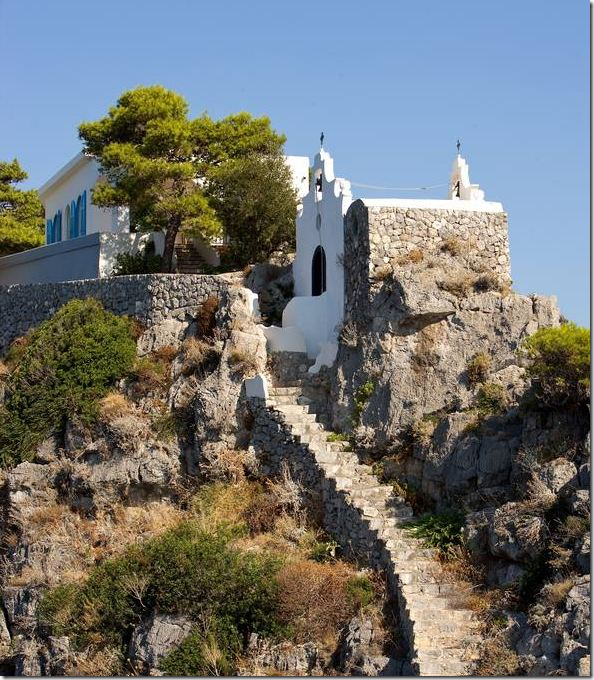 Julian Schnabel included a view of Li Galli in one of his recent works, while Christodoulos Panayiotou has made the island the backdrop to and subject of part of his ongoing epistolary. 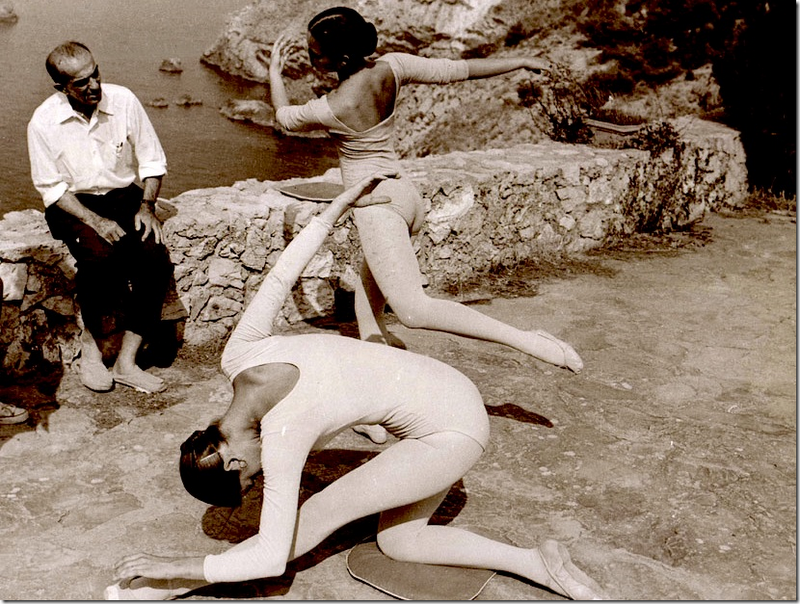 In Panayotiou’s words, “Sirenuse will always be the island of the greatest of heroes, Ulysses and the greatest of dancers, Rudolf Nureyev; the island of Massine and the Sirens; the island of Nikiya and the luring songs; the island of the mirror and the tempest. The island of the mirror,above all’. In 2012, Fiorucci Art Trust organised a Costume Drama Workshop on Li Galli, inspired by the Ballets Russes. Among the invited participants were Nick Mauss, Ken Okiishi, Paolo Gonzato, Isaac Julien, Runa Islam, Michael Clark, Bice Curiger, Enrico David, Anthea Hamilton, Sissi, and many others. Following the successful legacy of these past, informal invitations, in 2015 Giovanni Russo has chosen to make Li Galli accessible to a wider network of artists through a programme of artist residencies, selected and curated by Fiorucci Art Trust. The selection takes into consideration potential and existing affinities with the extremely charged context of this island. This new series of inspirational residencies aims to bring multiple iconographies and representations of Li Galli into existence. The programme draws inspiration from the unique history of the island and looks to Messine’s ambition to facilitate the contamination between artistic disciplines, as this is a crucial process towards cultural innovation. After being a ‘stage’ for the Ballets Russes, today Li Galli lends itself to be a creative platform in a broader sense, adding present-day mythologies to the rich layers of the past. Artists will be invited to stay in Li Galli for a period of minimum two weeks and a maximum of one month, with maximum three artists in residency at a time. Following the residency period, a selection of visual material gathered by the artists is presented on the Fiorucci Art Trust website.